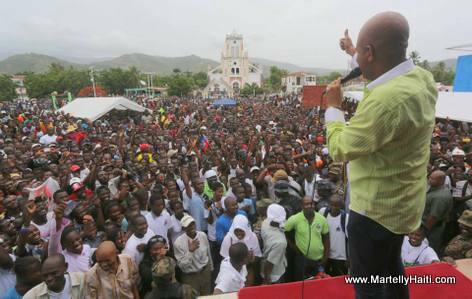 Congratulations, Agriculture is number one mean of economic development in Haiti. Haiti should plant more mangos, coconut trees, breadfruits trees, chestnuts trees, ilan ilan trees, oaks trees, sycamore trees, soursoap trees, avocado trees, sugar cane, all types of vegetables, all types of fruits to export to the USA, Canada, everywhere Haitians are working and living overseas. Haiti needs seaports for big boats with merchants everywhere come to buy fruits, vegetables, furnitures in Haiti and for merchants everywhere to come to sell their products too. With seaports in all departments, Haiti can go forward with commerce. Create jobs in the importation and exportation business. Les Honorables Sénateurs de la République pendant la rencontre avec l'exécutif.